The Australian Outback is one of the last true frontiers of the modern world. It is a vast land, sometimes harsh and unforgiving, but always endowed with spectacular beauty, enormous variety, and fascinating history. The sheer expanse of the outback is breathtaking. This vibrant red land is a mosaic of living aboriginal cultures, Dreamtime legends, cool rock pools, shady gorges, red sand dunes, unique flora and fauna, and dramatic rock formations. The word ‘outback’ is not easily defined, but you know the Australian outback when you see it. The outback is mythical Australia, the essence of Australia, and in many ways the real Australia, as 75% of the Australian continent shares the outback’s dry, desert characteristics. There is no such thing as a lifeless desert in Australia: as visitors soon learn, the outback is teeming with colour, life, and diversity. The term ‘outback’ refers to the remote and arid interior country of Australia, although it is often used today to refer loosely to any country outside of the main urban areas. The term is generally reserved for locations that are more remote than those areas described as being in ‘the bush’. The outback is not officially recognized within any governmental frameworks or boundaries. Some local government entities use the term to enhance the tourist appeal for their region. Curiously, even tour operators in countries as far apart as the United States and South Africa are starting to use the term ‘outback’ to describe their products! With its awesome open spaces, many consider the Northern Territory, and Central Australia in particular, to represent the true outback. While the Northern Territory is certainly Australia’s premier outback tour destination, many other adjoining regions of Australia are also popular outback destinations: The Kimberley and the Pilbara in Western Australia; Mount Isa, Longreach, Boulia and Birdsville in Queensland; Coober Pedy, Oodnadatta, Maree, the Simpson Desert, Innamincka and the Birdsville Track in South Australia. Organized package tours to the outback are popular, although many Australian and international tourists prefer to travel in their own vehicles. Such self-drive tours, particularly on the more remote outback dirt roads, require careful planning and an appropriate vehicle, usually four-wheel drive. On remote outback tours, plenty of supplies and equipment including food, water, and fuel should be carried. Some tours in more remote areas of the outback should not be undertaken with a single vehicle: a convoy approach (or tag-along tour) should be considered instead. Deaths from tourists becoming stranded on outback tours are infrequent but do occur, and poorly prepared tourists are regularly rescued when stranded by breakdowns or bad weather. 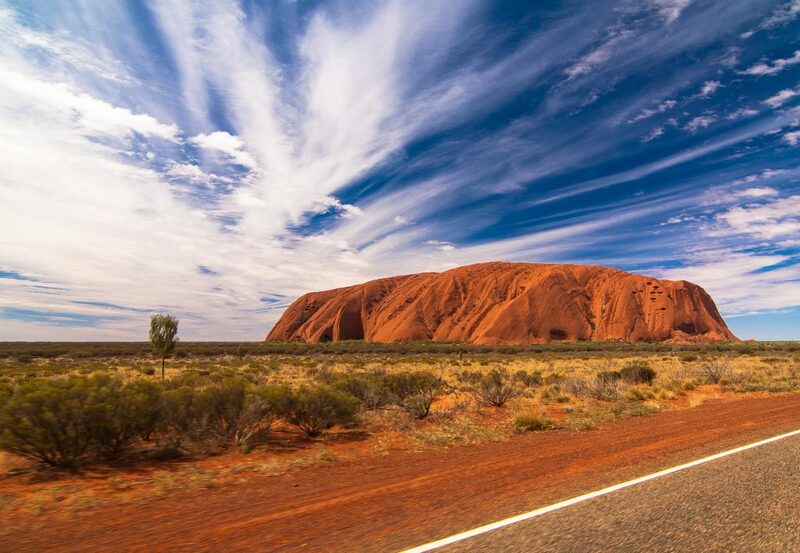 Among the most popular tourist destinations in Central Australia, the true ‘Red Centre’ of the Australian outback, are Uluru (Ayers Rock), Kata Tjuta (The Olgas), Kings Canyon (Watarrka), Alice Springs, Palm Valley, and the West MacDonnell Ranges. Few places in Australia or the world can match Central Australia’s rugged natural beauty, its diverse, unique flora, and fauna, or the vitality of its living indigenous cultures. This entry was posted in Travel and tagged australia, holiday, kakadu, kimberley, outback, tour, travel, uluru, vacation.